Udaipur is one of the most visited destinations in the Indian state of Rajasthan. This city has its own historical value. The city was founded by Maharana Udai Singh II in the year 1559. Previously this city was the Capital of Mewar. Travelers from all parts of the world gather in this city to get a feel of the essence of ancient India. Udaipur is also famous as Lake City. 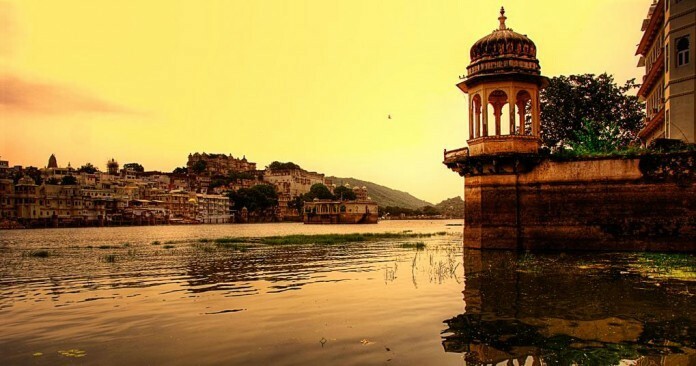 Let us have a look at the top 10 places of visit in Udaipur. City Palace: The city palace is situated beside the famous Pichola Lake. The shadows of balconies and towers on the lake give an amazing look. There are four major and various small areas within the complex of City Palace. The main part of this City Palace has been converted into Museum. 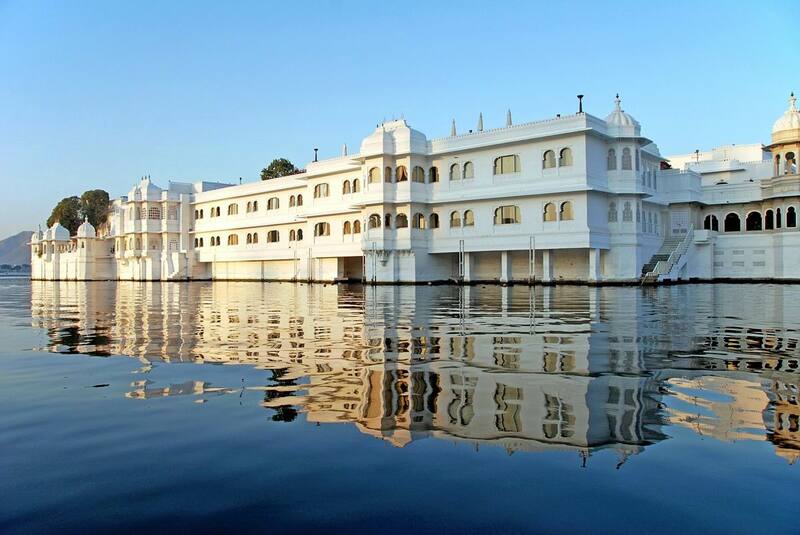 Lake Palace: Previously the Lake Palace was known as Jag Niwas. The palace was built between 1743 to 1746. The palace is constructed facing the east and from the palace the beauty of the nature can be enjoyed. This palace has now been converted into Hotel. Jag Mandir: On the island of Lake Pichola, the famous Jag Mandir is built. This is also famously known as Lake Garden Palace. The construction of this palace started in the year1551 and the construction got completed on 1652. Monsoon Palace: This Palace is situated just outside Udaipur and this was built in the 19th century period. This palace has been built on the top of Bansdara Mountain. Maharana Sajjan Singh constructed this palace. Ahar Museum: Though this museum is not a big one but due to rare collection this museum has become a famous one. Beside the collections, the sculptures are also nice to observe. The metal figure of Lord Budhha of 10th century is a noticeable collection of this museum. Jagdish Temple: The architecture of this temple is based on Indo-Aryan style. This temple is dedicated to Lord Vishnu. The architecture of this museum is surely a noticeable one. The curved pillar and painted ceilings are also remarkable. Fateh Sagar Lake: Among the famous tourist’s places in Udaipur, Fateh Sagar Lake is one of the famous one. The scenic beauty of this lake is really amazing. The lake is surrounded by Lake Pichola and by hills. Here the tourist can observe the popular Udaipur Solar Observatory. Lake Pichola: The name, Lake Pichola has been obtained from the village Pichola. The Jag mandir and Jag Niwas are situated in this lake. Travelers who will come here will surely enjoy boat riding in the Lake. Gulab Bagh and Zoo: Travellers to this place should not miss the chance to explore the famous Gulab Bagh garden and zoo. Bagore Ki Haveli: At Gangur Ghat of Lake Pichola this very popular Bagore Ki Haveli is situated. This haveli was built during 18th The Prime minister of Mewar of that time Amar chand Badwa constructed this haveli. In the haveli there are more than hundreds of rooms. Within these rooms the costumes and art work of that time is displayed. Hence, those above are the top ten travel spots in Udaipur which should never be missed. This entry was posted in Tourist Attractions and tagged Rajasthan Tour, Udaipur, Udaipur Places of Visit. Bookmark the permalink.